The Incoterms rules are standard sets of trading terms and conditions designed to assist traders when goods are sold and transported. They are created and published by the International Chamber of Commerce (ICC), with the most recent revision (Incoterms 2010) coming into force on January 1st, 2011. Vantec Hitachi Transport has compiled these rules into a unique tool that provides buyers and sellers with a point of reference for what each party is obliged to do, and where responsibility lies in event the of loss, damage or other mishap. The seller fulfills the obligation to deliver when he has made the goods available at his premises (i.e., works, factory, warehouse, etc.) to the buyer. 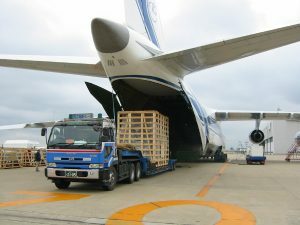 In particular, the seller is not responsible for loading the goods on the vehicle provided by the buyer or for clearing the goods for export, unless otherwise agreed. The buyer bears all costs and risks involved in taking the goods from the seller’s premises to the desired destination. This term thus represents the minimum obligation for the seller. Term applies to air, rail, road, and containerized/multimodal transport. Goods are made available to the buyer at seller’s premises. The seller clears the goods for export and hands them over into the custody of the first carrier (named by the buyer) at the named place. Term applies to air, rail, road, and containerized/multimodal transport. Goods are handed over to the first carrier at the named place. The seller must place the goods alongside the ship at the named port. 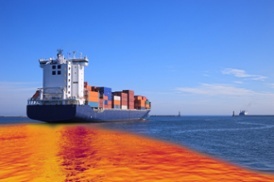 The seller must clear the goods for export—a change from the 2000 version of Incoterms®. Term applies to maritime transport only. Goods are placed alongside the ship at the named port and goods are cleared for export. As a common trade term, the seller must load the goods on board the ship nominated by the buyer. Cost and risk transfer once goods are placed on board the ship for transport—an Incoterms® change as of 2000. The seller must clear the goods for export. Term applies to maritime transport only. Goods are placed on board the ship and the seller has cleared the goods for export. The seller must pay the costs and freight to bring the goods to the port of destination. However, the risk transfers to the buyer once the goods are placed on board the ship for transport. Term applies to maritime transport only. Goods have crossed the ship’s rail. The seller must pay the costs and freight to bring the goods to the port of destination. However, the risk transfers to the buyer once the goods are placed on board the ship for transport. The shipper must also procure and pay for insurance for the buyer. Term applies to maritime transport only. Goods have crossed the ship’s rail and the shipper has paid for insurance for the buyer. 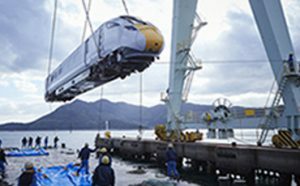 The seller must pay for carriage of the freight to the named point of destination. Risk passes when the goods are handed over to the first carrier. Term applies to air, rail, road, and containerized/multimodal transport. 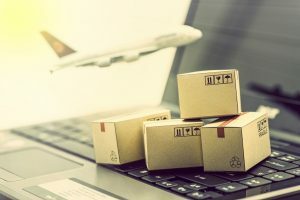 Seller assumes all risks of loss or damage to the goods until they have been delivered to the (first) carrier at the place of shipment, within the agreed-upon time stipulated in the sales contract. Seller pays for carriage and insurance to the named destination point, but risk passes when the goods are handed over to the first carrier. Term applies to air, rail, road, and containerized/multimodal transport. Goods are handed over to the first carrier and the shipper has paid insurance for the buyer. The seller pays for all transportation costs and bears all risk until the goods have been delivered. Seller pays the duty. This term should NOT be used interchangeably with the term “Free Domicile.” Term applies to air, rail, road, and containerized/multimodal transport. Goods have been delivered at the named destination place. The seller bears all transport costs and the risk up to delivery. “Delivery” takes place when the goods are at the disposal of the buyer on the arriving means of transport, ready for unloading at the named place of destination. Term applies to air, rail, road, and containerized/multimodal transport. Goods are placed at the disposal of the buyer, ready for unloading at the named destination. The seller bears the cost of transport and the risks until the goods are left unloaded at the terminal that the parties had agreed upon. “Terminal” includes any place, whether covered or not, such as a quay, warehouse, container yard or road, or rail or air cargo terminal. Term applies to air, rail, road, and containerized/multimodal transport. Goods are left at the agreed-upon terminal. INCOTERMS® IS A REGISTERED TRADEMARK OF THE INTERNATIONAL CHAMBER OF COMMERCE. THIS DOCUMENT IS NOT INTENDED AS LEGAL ADVICE BUT IS BEING PROVIDED FOR REFERENCE PURPOSES ONLY. 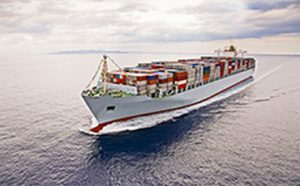 USERS SHOULD SEEK SPECIFIC GUIDANCE FROM INCOTERMS® 2010 AVAILABLE THROUGH THE INTERNATIONAL CHAMBER OF COMMERCE AT WWW.ICCBOOKS.COM.